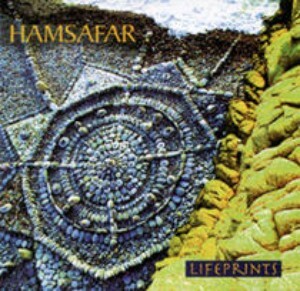 HAMSAFAR was one of my favorite musical projects. An Ethno Fusion of east and west, north and south. Five highly skilled multi-instrumentalists (incl. Prem Joshua and Chintan Schmidt-Relenberg) created a beautiful mix of danceable, very rhythmic and melodic music with influences from Africa to Brasil, from India to North Amerika, from Australia to Russia... 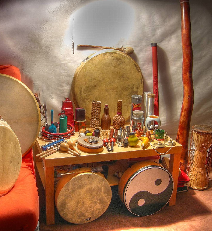 The mix of unusual ethnical instruments with contemporary sounds makes this album a delicious oeuvre for both dancing and listening. Rupesh: Congas on "Crioulo Branco"
Deepak Patekar: Vocals on "Inspector Singh"
Udigama: Percussion on "Crioulo Branco"